PoolFan wrote: On the Mystery Minis it’s all about placement in the case. 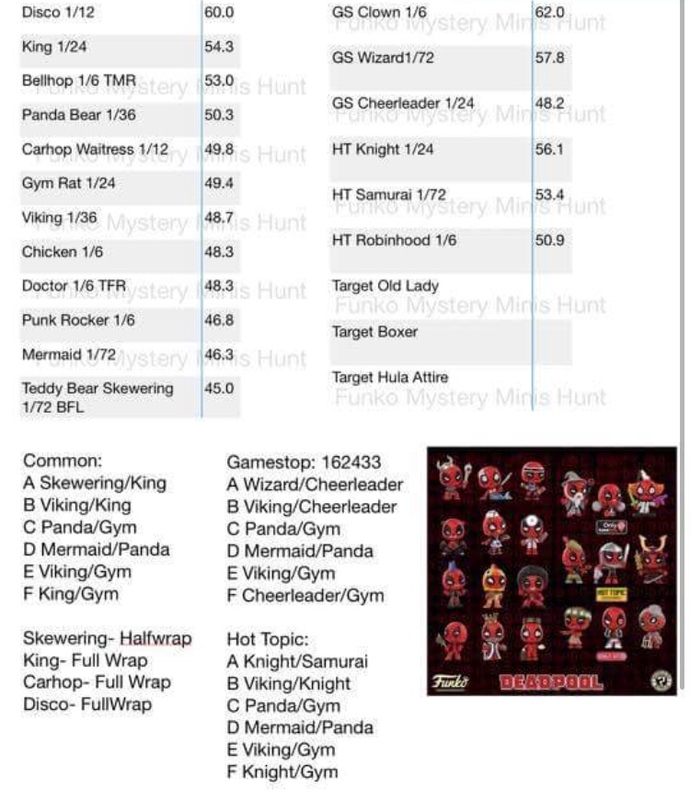 The rare figures are always in the middle four boxes. If the store prices each box individually this goes out the window. The original shipping box also comes with a white sticker with a letter, A-F, that lets you know what figures are in the case. This is only beneficial if you find a case before it gets put out on the shelf. I found most of my 1/72 Minis this way when they first hit stores. So...I would need to.find an untampered c/d box and buy the middle four boxes to have a decent chance at pandapool? 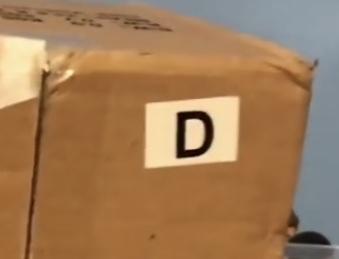 So, silly question....is the letter on the actual display box somewhere or just the shipping carton? PoolFan wrote: That is correct. 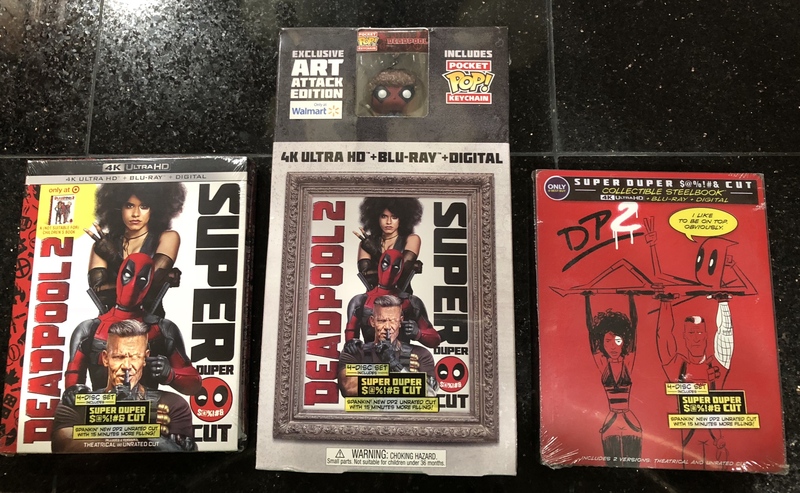 Don’t forget to get out and get your Deadpool 2 today. PoolFan wrote: Don’t forget to get out and get your Deadpool 2 today. Today was a good Deadpool day. 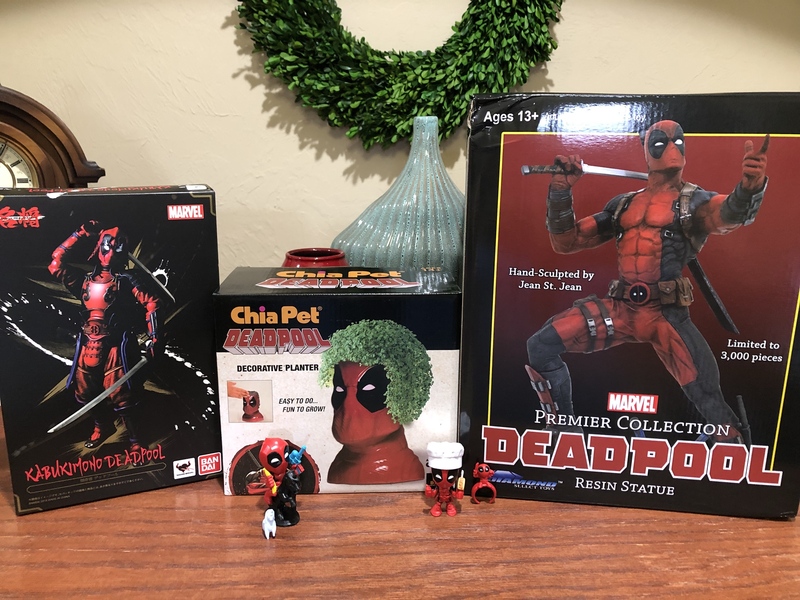 Found the new Deadpool Chimichanga Surprise packs at GameStop. Got the Chia at Walgreens. I scored the Manga fig and the statue for half price thanks to Hot Topic Hot Cash.